Simply classic, good old fashioned Carrot Cake, that might just become your absolute favorite. With luscious swoops of super creamy, perfectly sweet, (and stable) Cream Cheese Frosting, this cake is pretty much perfection. Plus…recipe VIDEO included! I still remember back in the day, when Carrot Cake was still a foreigner in Egypt. A piece of questionable pastry met with hostility at only a handful of the fanciest cafes in Cairo. This whole “back in the day” drama, was only a mere 15-17 years ago, as far as I remember. But the idea of a sweet cake made with a vegetable, wasn’t well digested by most at the time. To me, however…it was the perfect camouflage! Disguising dessert in a vegetable, convincing everyone its health food was pure genius! Mwahahahaaaaaaah! The first time I made Carrot Cake, it tasted so impressive that my mom asked me to make another one for her sisters so they could experience the revelation. My dear aunts, known for their cute sense of humor, hilariously made fun of “the cake made of carrots” like it was rabbit food. But then when they learnt that it was filled and covered with a frosting made of cheese…well…I’ll leave their comic relief segment to your imagination. But something along the lines of “it’s basically a salad” came up. See? The perfect camouflage. To cut a long story short, my aunts got hooked from the first bite and although were embarrassed to ask for the recipe after what’s been said and done, they still did! Ha! Wait…it gets better, as far as the rest of the Egyptians are concerned, Carrot Cake is now one of the most beloved, most popular non-Middle Eastern desserts in the country. And they lived happily ever after. The end. Wait…What?! So what’s the deal with this Carrot Cake? Nothing. It’s Carrot Cake in its purest form; the way it’s intended to be. No frills, no twists. No pineapple chunks or coconut strands. No caramel oozing out or chocolate injected in. 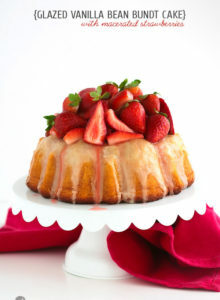 Just straight up moist cake, bursting with flavor, that just happens to be the BEST EVER! I’ve been successfully making this cake for several years and haven’t looked back to another recipe ever since. Because it’s that good! 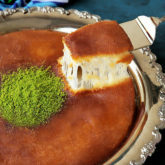 The cake is incredibly grand and moist without being soggy or dense, with a tender crumb that just melts in the mouth. It’s perfectly spiced, with specs of carrot sprinkles popping throughout. I’ve made it countless times as cupcakes and a few as a sheet cake with beautiful results. You just can’t help but fall in love with this cake. And that frosting? Knock-your-socks-off amazing! 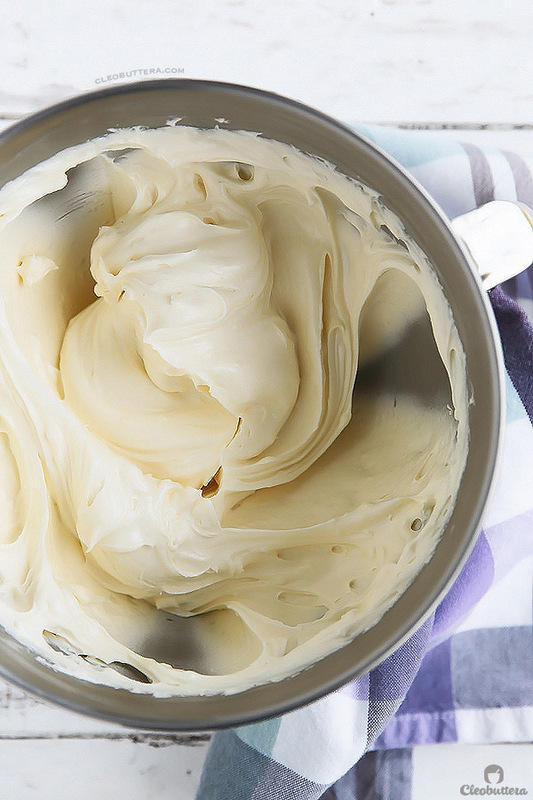 It is the best straight up cream cheese frosting I’ve ever made or tasted, and you’ll most probably think the same too! It’s so creamy, light and fluffy from all the whipping that goes into it. A little sour cream gives shine and an another dimension of tanginess. What makes it extra special though, is its pipeable, spreadable consistency, without being overly sweet. Most cream cheese frostings tend to be on the loose side, which makes it difficult to decorate with and causes cakes layers to slide. This is most often remedied by adding colossal amounts of confectioners’ sugar to stiffen it up. The result: cloyingly sweet, gritty frosting. Blech! Not this one though. The trick to achieve this stable, pipeable quality of the frosting is using COLD cream cheese straight from the fridge and adding it bit by bit towards the end of the mixing. I talk more in depth about this mixing method here, so make sure you check it out. For now though…let’s make some incredibly good cake. Did I mention it being easy? No? Well, it is….very much so, especially if you have a food processor with a shredding disk, because grating the carrots is about the most tedious step of the recipe. I like to grate them really really small because it’s a pet peeve of mine to be eating cake and then find myself munching on a piece of carrot. I also found that the smaller I grate them, the moister the cake ends up. This is not based on scientific evidence or anything, it’s just a random observation that came out of my kitchen. 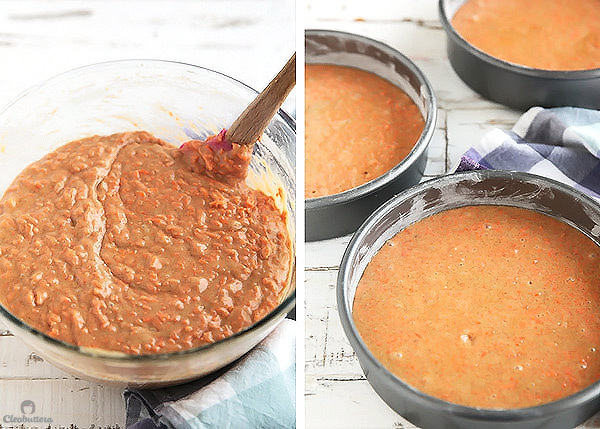 Anywhooooo…you’ll fold in your oodles and oodles of teeny tiny carrot shreds in an easy peasy spiced cake batter. 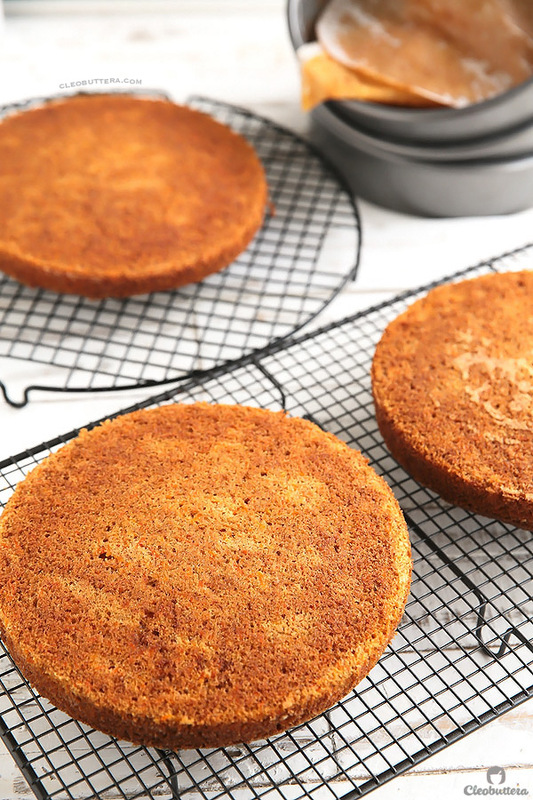 Like soooo…then you’ll divide the carrot-speckled cake batter in 3 parchment-lined pans and bake them off until a toothpick inserted in the center of the cake, comes out clean or with a few crumbs attached, 20-25 minutes. Flip them out on a wire rack, peel the parchment paper rounds and allow them to cool completely before frosting. It’s ok to sniff the air wafting around the cakes though. We’re human. 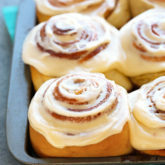 While these guys are cooling, make that dreamy cream cheese frosting that so magically retains its shape. 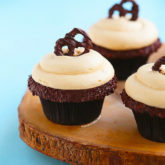 I previously dedicated a post to a Pipable Browned Butter Cream Cheese Frosting that is OMG amazing and uses the exact same mixing method as this one right here. You’ll just skip browning the butter, obvi, and add a liiiiittle bit of sour cream. So make sure you check it out here for step-by-step-photos. You’ll still find the detailed instructions in the recipe box below. Meanwhile, grace your eyes with the sight of these frosting clouds. Steal a lick or two, then add a cup of that dreamy stuff between each layer of cake. I like to use an ice cream scoop to portion the frosting. That way, I get equal amount of frosting between each layer. Spread, spread, spread, swoop, swoop, swoop…. Done! Go the classic route and decorate with miniature frosting or fondant carrots, or change it up and label it, like I did this time around. Cut a huge hunk to share or not. Because its a salad…remember! Carrots for your eye-sight, vitamins A, K & E, and cheese for your bones, calcium, protein and a bunch of other vitamins. So basically, this cake is just what the doctor ordered. Simply classic, good old fashioned Carrot Cake, that might just become your absolute favorite. With luscious swoops of super creamy, perfectly sweet, (and stable) Cream Cheese Frosting, this cake is pretty much perfection. Spray 3 (8 or 9 inch) round pans (**see note below for alternate pan sizes) with nonstick cooking spray or lightly grease with oil. Line the bottom of the pans with parchment rounds and spray parchment or lightly grease again with oil then dust with flour, tapping out excess flour. In food processor fitted with the shredding disk or using the small holes of a box grater, shred carrots (you should have about 3 cups); set aside. In the bowl of standing mixer fitted with paddle attachment (or in large bowl and using hand-held mixer), beat eggs and both the granulated and brown sugars together on medium-high speed until thoroughly combined, about 45 seconds. Reduce speed to medium; with mixer running, add oil in slow, steady stream, being careful to pour oil against inside of bowl (if oil begins to splatter, reduce speed to low until oil is incorporated, then resume adding oil). Increase speed to high and mix until mixture is light in color and well emulsified, about 45 seconds to 1 minute longer. Turn off mixer. Bake until a toothpick or a skewer inserted into center of cake comes out clean or with a few cooked crumbs attached, 20 to 25 minutes, rotating the pans halfway through baking time. Let the cakes cool in the pans for 10 minutes. Run a small knife around the edges of the cakes, then flip them out onto a wire rack. Peel off the parchment paper, flip the cakes right side up, and let cool completely before frosting, 1 1/2 to 2 hours. Meanwhile, prepare the frosting. (Instructions below). 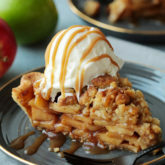 Serve right away or store until ready to serve under a cake dome or in airtight container to prevent it from drying out. In the bowl of a stand mixer fitted with the paddle attachment (or in large bowl and using hand-held mixer) beat the butter on medium-high speed until creamy and lightened up, 1 to 2 minutes. Add the confectioners sugar, salt and vanilla and beat until lightened in both color and texture and looks fluffier than when it started, 4 to 6 minutes. Beat in the sour cream. Increase the speed to medium high and beat until the frosting is light, fluffy, whipped-like and until almost no cream cheese lumps remain, 4 to 6 minutes. Use according to recipe above. Carrot cakes in general tastes better with time, to allow for the components to meld together and flavors interwine. So try to prepare the cake several hours ahead or even a day in advance. If making a day ahead, store in the fridge under a cake dome or in an airtight container, then take it out of the fridge at least 4 hours before serving and allow it to come to room temperature. I like to take it out of the fridge first thing in the morning to give it enough time to reach room temperature. Weighing ingredients, especially flour, using a kitchen scale is highly recommended for my recipes and baking in general, as it yield the most consistent and accurate results. However, if you don't have a kitchen scale to weight the flour, use the dip-and-sweep method for this recipe. Dip a measuring cup into a container of flour and then level the flour with a straight edge. Since carrots vary greatly in size, it is preferable to weigh them using a kitchen scale instead of relying on the number of carrots. Weight of carrots (1lb/ 450g) is their net weight, after they've been peeled and dark, bitter roots removed, so buy more than 1 pound, as there weight will decrease significantly after peeling. If you don't have a kitchen scale, just make sure you have 3 packed cups of shredded carrots. This recipe works perfectly well as a 2-layer 9inch cake, and makes 24 beautiful cupcakes. Baking time will vary, so take that into consideration. You could also bake it in a 13X9inch baking pan, but you'll need to reduce the frosting recipe by half. If you like nuts in your cake, stir 1 1/2 cups toasted chopped pecans or walnuts into the batter along with the carrots. Raisins are also a good addition; 1 cup can be added along with the carrots. If you add both nuts and raisins, the cake will need an additional 10 to 12 minutes in the oven. 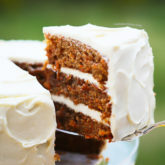 Oh boy, I totally love carrot cake, can i have a slice.. or two? It just looks amazing! I love the back story on this post! It’s amazing to see how food trends catch on. I love carrot cake…all kinds…but with everyone posting their very favorite carrot cake, I realize that I don’t have a favorite recipe yet. I’ve only made it once, a long time ago…that was the single girl food processor that was dyed orange for-ev-er from grating the carrots. I don’t know why I don’t make it more often. Love knowing that this is your favorite. It’s going to have to go on the list to see if it could be mine too! 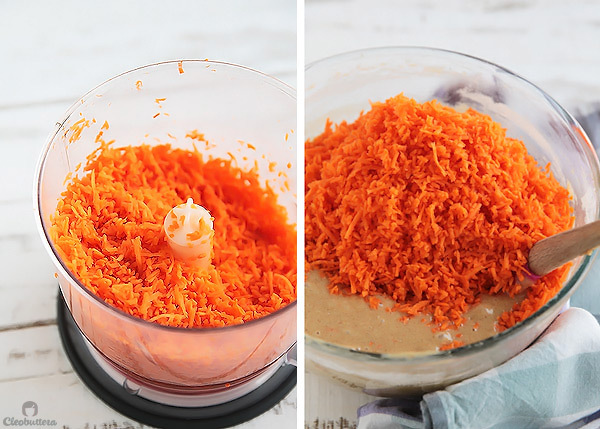 Hahahaaa you will always be reminded of the one time you made carrot cake every time you look at your food processor:D This one is just so simple and classic yet so special from its perfectly balanced flavor and perfect texture. I highly recommend giving it a try. Easter maybe? 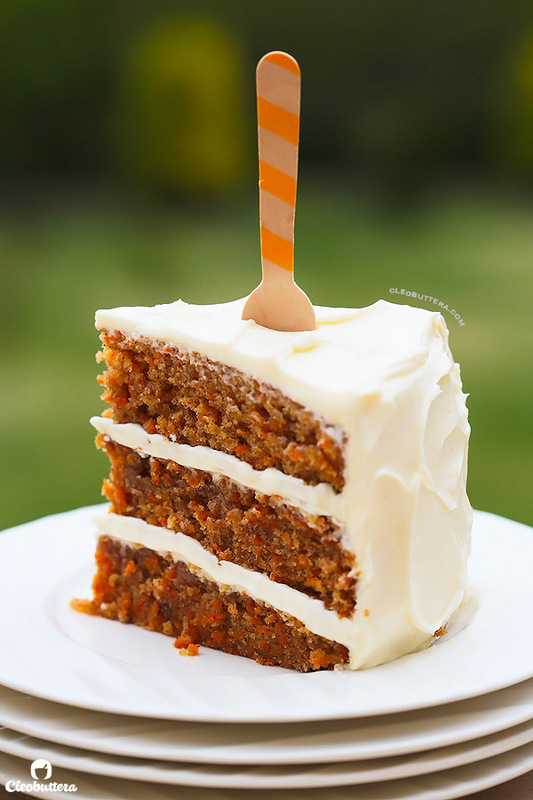 Love carrot cake and your cake looks dense, moist and packed with carroty goodness. An all time favourite classic that just never dates. Very tempting pics! I read several carrot cake recipes and landed on one to make this weekend, but after seeing your cake on Instagram and reading your post, everything has changed. Very excited to make your recipe and look forward to enjoying every bite … and sneeking a few spoons of frosting. Thank you for sharing. Hello. Is it possible to replace the eggs with something ? I am a lacto-vegetarian.. Thank you so much. Hi Suprajha:) Since I’ve never tried doing that before, I can’t really tell for sure what would work. I’m so sorry:( If you ever experiment with it, I’d love to know the outcome. Summer that means the world coming from an amazingly talented person like you! Thank you so much for passing by & leaving a comment. 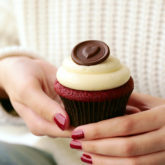 I wish I could give u some of this frosting right now. I never liked carrot cakes.. & when I tried this recipe I made it for my family n friends.. But I couldn’t help myself not having a slice as they all went crazy about it!! N now… I just LOvE carrot cakes!! The nutmeg n cloves r perfect with it.. I made this cake yesterday; it was delicious! The cake itself is so moist and packed with flavor! I did only a few modifications: added 1.5 teaspoons of grated ginger and 1/4 of a cup of golden raisins that I soaked in 1/8 of a cup of Grand Marnier. I strongly recommend trying it out 🙂 Amazing recipe, thanks for sharing! That’s so nice to hear Murielle! So happy you liked it. I loooove your addition of fresh ginger & I could imagine the zing it gave to the cake. I’m sure the raisins were a perfect addition too. Thanks for your recommendations! I’ll be sure to try them the next time I make Carrot Cake. I prefer my carrot cake without bells or whistles too. Straight up delicious. I’m that way with a lot of my desserts actually, why mess with a good thing? Using an ice cream scoop for the frosting is genius!! What a simple way to ensure even layers. I’ve never had much luck with cream cheese frosting, it always turns out too soupy. Yours looks absolutely perfect. Will definitely try this recipe! I’ve had so many bad experiences with cream cheese frostings in the past too. They’d always break & turn out soupy. Disastrous! I’m sure you know the feeling. This one has cracked the code & always turns out beautifully stable to the extent of being pipeable without having to add tons of sugar to give it body. I love it & I hope you will too. Hi Mercy, thank you so much for the nice things you said about the blog and I’m so happy you’re enjoying it. Ok so I used google translate to understand your question but it wasn’t very accurate. However, what I could make up from it is that you’re askinh if you could make thf cake two days in advance. I really hope I’m correct. If that’s it then yes you definitely could. The great thing about carrot cake in general is that they taste even better the next day. I always make carrot cake a day in advance, store it in an airtight cake container and refregerate it. The next day, I just take it out of the fridge and let come to room temperature before serving. I’ve never actually tried making it 2 days in advance but the leftovers always taste good, so I think it will still be ok. I tried your recipe today after looking at those yummy pictures. I decreased the amount of oil and sugar by 50 ml and gr each, respectively because I didn’t want it to turn out too moist and tender. The cakes turned out pretty moist, can’t imagine how they would’ve turned out if I used the full amounts of oil and sugar 🙂 But the main problem is the aftertaste and that a couple of them sunk a tiny bit in the center. I’m getting a really weird aftertaste – not sure if it is bitter or soapy. What do you think could be the source of the problem? As per my readings, it could be too much baking powder or baking soda or it could be because of the canola oil (it seems some people had bad experiences with canola oil, when used in a large quantity in a recipe). I would love to know your opinion on this since I’m sure you have done the recipe several times. Thanks a bunch! I’m happy you have this recipe a go! As for the “soapy” aftertaste I would assume that the problem might be from your baking soda, since your cakes sunk too. Are you sure it’s not expired? You could check if it’s still good by stirring some of it in a little bit of vinegar. It should foam & bubble vigorously. If it doesn’t then this would definitely be the problem. The problem is surely not from the amount of baking soda, as I’ve never had this problem. As for the canola oil, I can’t tell for sure because I always use sunflower oil. As far as I know though, is that canola oil is very neutral tasting, but you could experiment with another kind the next you make it. Also another reason for sunken cakes, is underbaking, so that can be behind it too. Hey Randa:) I use Parade brand which I usually find at most big supermarkets like Seoudi & Royal House. Petro always always has vanilla extract. As well as Mariam & Kimo Supermarkets in Maadi. In a pinch, the powdered kind is a good substitute. hello! your cake turned out amazing! as for the frosting I was a little timid of using COLD cream cheese but I decided to stop worrying and trust and try. but unfortunately i was disappointed, the texture was not smooth at all, lumps in the frosting along with weird grainy texture from the room temp butter becoming cold again from the cream cheese. next time I will use your recipe but use room temp cream cheese. I would love to know why you called for cold tho. thank you! wonderful flavor all around. Thank you for giving this cake a try & I’m happy you liked the “all around” flavor. I’m so sorry that you had issues with the frosting. You could most certainly use room temperature cream cheese if you prefer. The reason behind using COLD cream cheese though, is that cream cheese frosting has the tendency to separate & become too loose. This is an issue that I’ve experienced myself & have heard so many people complain about. Due to several failed attempts at it, I ran some research & found suggestions to use cold cream cheese by very credible sources. This prevents the frosting from separating & makes it stiff enough to hold its shape, pipe & hold the cake layers well together without sliding around. The key to getting it smooth and creamy is to add the cream cheese very little at a time, beating really well before each addition. You need to make sure that the first addition is well blended before adding the next. About the graininess, I’m not quite sure what happened here but it could be the brand of the cream cheese. I recently read that some brands produces grainy texture in cheesecakes, which is similar in nature to cream cheese frosting. I always stick to either Philadelphia or Kiri. 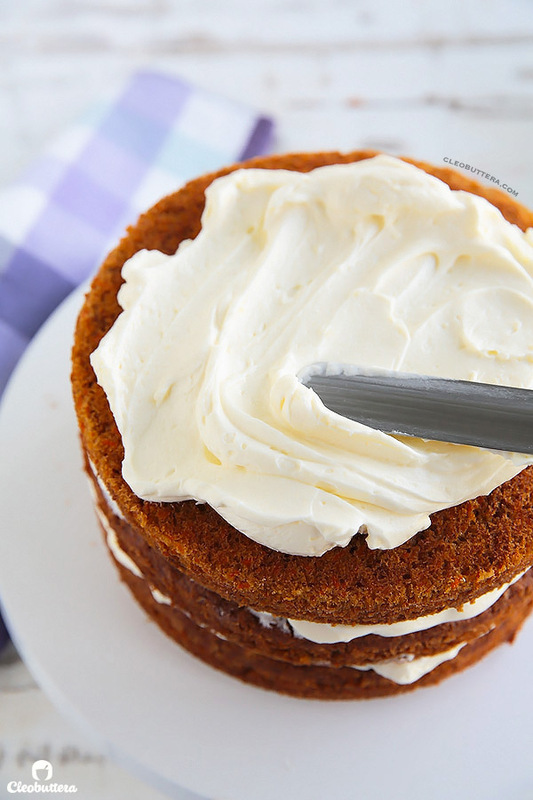 Thank you for such a simple carrot cake recipe! It looks great. I don’t have easy access to sour cream. I know there’s a lot of substitutes for sour cream in baking, but what should I use as a substitute when making frosting? Your most welcome! If you could get your hands on Greek yogurt, then that would be a great replacement. Otherwise, I would just omit it all together. Sour cream just adds a slight tang to the frosting, so it’s not super necessary. Thanks so much! The fact that you take out time to reply to people’s queries means a lot! Kudos to you and all the best for your young (yet, brilliant) blog. Btw, I love your blog name…Cleobuttera! Aaaawwwww…You’re the one I should thank for your lovely comment that made my day 🙂 I’m so glad I could help…that’s really what I’m here for. 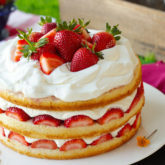 Hi, I am planning to male this for my boyfriends birthday but since I live in a tropical country I want to know if the frosting will melt off if the cake sits at 32° room temp and not refrigerated? The frosting should be fine as I live in a warm climate too (but not humid) and it holds well. If your country is very humid then it could get soft but definitely not melted. I wouldn’t recommend keeping the cake out of the fridge overnight, as it contains cream cheese, which shouldn’t stay out for long for safety precautions. Hello…Thank you for your reply…I made this cake and the frosting(which held pretty well) last week and it became an all time favourite of the family!! However I have two questions; Firstly, I felt that the cake had a weird fried-ish taste, did I do something wrong or is it because I used canola oil? Secondly, can the frosting recipe be adapted into a lemon creamcheese frosting recipe? Do you have any suggestions on how I could manage that? Concerning the fried taste, my biggest assumption would be the use of canola oil like you suspected. I’ve actually never baked with canola oil, but I’ve read so many things about it giving baked good an off-taste. I always use either sunflower or vegetable oil and never have this problem. Try using one of these next time and hopefully you notice a difference. Adapting the cream cheese frosting to make a lemon flavored one is an awesome idea! I would suggest adding lemon zest (as much or as little as you prefer, but at least 1 tablespoon) in with the butter as it gets creamed with the sugar. The flavor oils will release from the zest as it gets creamed without having any effect on the consistency of the frosting. Adding lemon juice on the other hand will thin down the frosting and lemon extract just tastes artificial. So lemon zest is the way to go! Thank you for your great recipes.I’m willing to try this amazing cake in a birthday event. Hi Fatma! I’m glad you like it over here! Yes! This cake is perfect under fondant. I actually tried it several times and it always holds up really well. thank you dear, shall I cover it with this frosting then put fondant over? or use buttercream better? You’re most welcome! Both options will work well. I love how cream cheese frosting goes swimmingly with carrot cake, so this is what I use. This particular cream cheese frosting recipe is very stable so you don’t need to worry about it being soft. 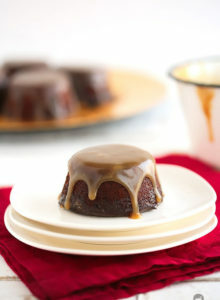 One more question please, what is the brand for this cake pans? looks really nice. Cant find anything but wilton in the market, are these prestige? and from where did you get in Egypt please. I love getting questions and comments, so shoot as much as you like! These particular ones are a brand called Commercial II, but I do have some wilton ones that I love too. I have a Prestige cupcake pan and baking sheet which I absolutely love, so I highly recommend this brand as well. The Commercial II ones were from Canada, as I used to live there, so I just shipped them with me. You could find a nice collection of pans at Carrefour, Tulip and Home something…gosh I forgot the name! I tried the carrot cake today… It tasted amazingggg.. And the frosting was Devine! However, I had one problem… That the cake didn’t rise enough… It wasn’t crumbly on the inside, it was too sticky…. What do u think the problem was? You’re right, this cake IS perfection ! I made it as cupcakes, and they came out veryyyy fluffy. 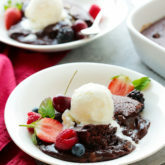 Another recipe of yours to add to my favorites (I tried many of your recipes : your brownies, chocolate chip muffins, cinnamon roll cake, chocolate chip cookies , nutella cookies , and caramel… and everything turned out delicious!). Thank You! Mariam this is just what I needed to hear to go to bed with a huge smile on my face 🙂 I’m so happy that you’re satisfied with the blog’s recipes. The ones you made are some of my top personal favorites; I guess we have similar taste. 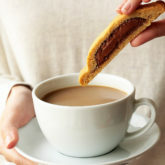 I’d just add to that sticky toffee pudding & s’mores cookies; must try! I love making the carrot cake into cupcakes too! 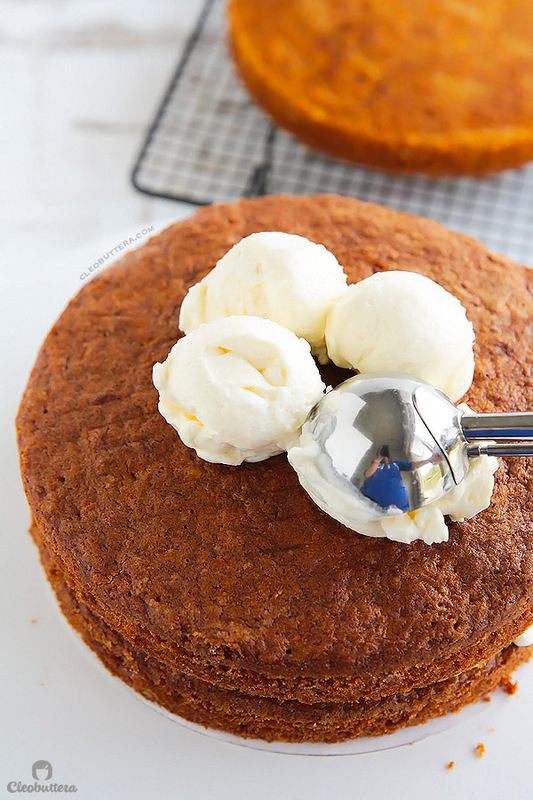 No doubt it was an incredible carrot cake, made it yesterday, very moist flavorful cake with a light and fluffy frosting … Thanks for sharing your recipe. I’m so happy to hear that Huma! That’s the best kind of comment. Thank you so much for your feedback. Have you ever added crushed pineapple? I would love to add some. Any suggestions? Hey Deanne:) I’ve only tried adding pineapples to hummingbird cake but never this one. I’m really not sure how the added moisture will effect the cake, but I’m worried it will get it too wet. I think you’ll need to compensate for that by maybe reducing some of the carrots, maybe even oil, but I’m not really sure. Will need to experiment to know for sure. I have made this cake multiple times now, including for some serious Carrot Cake Aficionados, and it always gets rave reviews (including from me!) 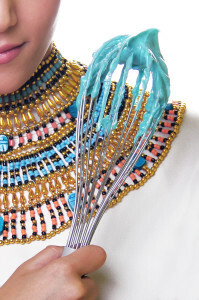 I even made it once in Cairo where I’m currently living–although people here thought it had “too much frosting”. Lol😄 No such thing indeed! I could eat it by the spoon. I’m so happy it got the stamp of approval from carrot cake aficionados. Thanks for your feedback Becky. Oh my goodness. I made this for my hubby today. He told me it was the best he has ever tasted. He love how light and fluffy the cream cheese frosting was. Thank you so much for sharing. Will be a staple in this house hold. Made it. everyone loved it and they all wanted the recipe. I never did find a recipe like this in Indonesia … when I sign pinteres I found this site .. thaks God..saya will practice tomorrow and I will share to all your friends. I’m so happy this cake interests you Peninggi:) I can’t wait for you to try it! Hi Cleo, can I use cake flour instead as we do not get all purpose flour where I live. What would be the precise measurement? So about the flour, all purpose flour is just plain regular flour, which if I’m not wrong, should be available everywhere. I’m just concerned that cake flour might be too delicate for this type of cake. There’s a ton of carrots in the cake which requires a flour with a strong structure to be able to stand up to all the weight. Please let me know if you still can’t find plain flour and we’ll try to figure this out together. Hi, I’m from South Africa. We only get Cake flour and Bread flour in stores and no All Purpose flour whatsoever. Is there something we can replace it with? Ive seen a lot of recipes call for All Purpose Flour but Ive always just used Cake flour,I only recently discovered its not the same thing. Thank you. How about plain flour? Do you have that? I heard that in the UK all purpose flour is called plain flour, so it might be the same in South Africa. Cake flour just has lower protein than all purpose flour, which reduces gluten development and thus produces a finer, more tender crumb. In most cake applications, it’s an awesome choice. But some cakes just need that extra structure of all purpose flour like this one. Carrot cake batter is heavy on the shredded carrots which requires a stronger flour to hold up to all that extra weight. I guess that if you’ve been using cake flour all along with success that it might just have higher protein than typical cake flour and would therefore work in all applications. In Egypt, it’s the opposite. We only have all purpose flour. To make my own cake flour, I add cornstarch to it to lighten it up. On a separate note, South Africa is on my top list of countries to travel to. I’m DYING to visit! Thank you Tasbih for the speedy, helpful and friendly reply. Went shopping again to make sure about the different flours we have. The only all purpose or plain flours we have are gluten free. In the meantime my oven also decided to break. But I will most definitely try the recipe with cake flour and I will let you know how it turned out, once my oven is fixed. You must visit South Africa. The cultures are so vast and different so is the food. Cape Town in my opinion is one off the most beautiful places in the world although I don’t live there. Thank you once again for the great advice and off course your blog. Oh no! Good luck with getting that oven fixed. I would curl up in fetal position if something ever happened to my oven; I love it too much. WOW! You made me want to visit even more. My family and friends who were lucky enough to visit Cape Town had the same thing to say about it too, and that it’s beautiful beyond your imagination! I made this with carrots from our garden for our weekly Sunday family dinner. So delicious and the three layers made it a feast for the eyes! So happy to find this recipe. It will definitely be a family favorite! I am so excited to try this recipe. Making it this weekend. My family does not like nuts, so perfect recipe to make. Will let you know how everyone likes it. 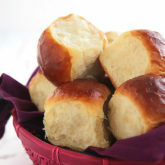 I can’t wait to try my hand at this recipe, it looks simply amazing! 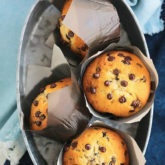 I recently baked the Unbelievable Chocolate Chip Muffins and boy did they turn out unbelievable indeed! So I have zero doubts this carrot cake will turn out just as great. I only have one question – if I am planning to bake the cake in one 7-8″ pan instead of baking separately in three pans, will that work? How long do I have to increase baking time? If not, my oven is only big enough for two pans at one go, will it be okay to let the batter sit in the other pan while the first two bake? Can’t wait to hear from you, thank you so much in advance! I’m so happy to hear that you loved the chocolate chip muffins 👏🏼 I think this cake won’t disappoint as well; it’s a readers’ favorite! As for the pan size, I’m afraid the pan will be too small to fit all that batter. You could use a 9X13″ rectangular baking pan instead and bake it as a sheet cake. Well the cake turned out awesome. My family loved it. They said it was the best carrot cake they ever had. Thank you for making our family dessert such a huge hit. Made this tonight because I was craving carrot cake for the last two weeks. I didn’t have the forethought to remove the cream cheese from the freezer so I ate it plain and still loved it. Next time I will try making it with the icing. I used 1 tbsp cinnamon + the other spices. I think next time I will add more cloves because I like those. Also I did my cake in 2 8 or 9 inch pans, sorry don’t know exact size of them but it took them 45 minutes to bake. Thanks for sharing, I’ve added it to my recipe list. I have the Philadelphia cream cheese that comes in the tub; it’s not a solid brick. I also have Kiri cubes. So I should use Kiri, right? How are your cakes nice and flat on top? Do you level them? Hi Mariam 🙂 I do level them if they have a large dome, but if they bake flat, then I leave them as is. Thank you for this amazing recipe!!! I was scared of making the cream cheese frosting since I have tried many others and failed, just because I live in a very warm climate! I decided to give it a go since you said you live in Egipt and told myself: hey Egipt is hot, this must work! And it did! It worked beautifully, really fluffy and stable and with just the right amount of sweet!!! Once again, thank you so much for sharing this recipe! It was a complete success!!!! Now I have to go to eat my salad, lol!!! I am so impressed by your blog that I’ve introduced you to friends and family alike. I simply love your recipes! 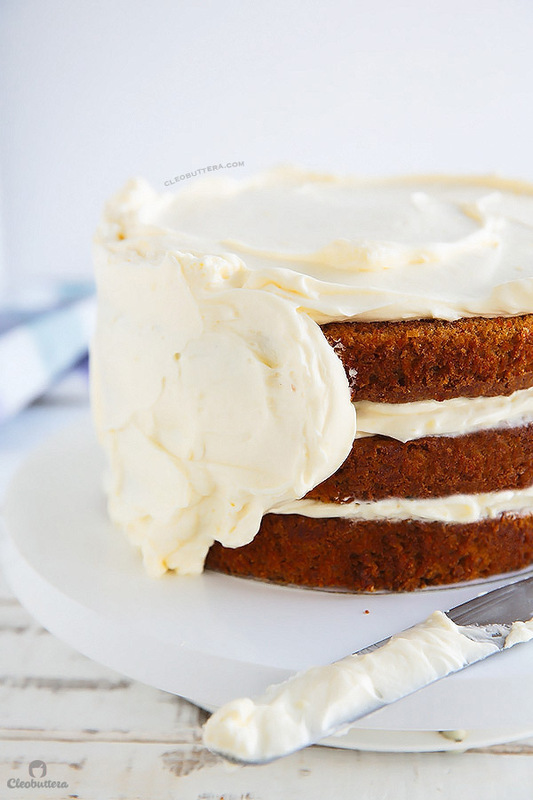 I’m planning to bake this carrot cake but since my husband doesn’t take butter and cream cheese, I will forego the frosting and bake everything in one pan. What size pan should I use and how long is the baking time? 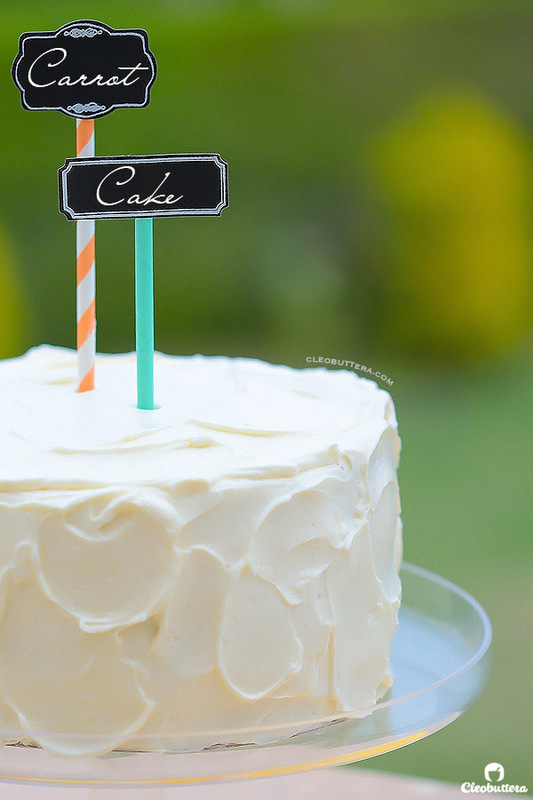 This cake is just as good without the frosting! My father-in-law is lactose intolerate, so I always make it for him plain. He loves it! Grace I wonder if you have a kitchen scale? If yes, please use it for this recipe to ensure perfect results. It’s adapted from America’s Test Kitchen, who tend to overmeasure flour, so a scale will be a sure fire way to ensure that you don’t under measure anything. You can bake it in a 13X9 inch baking pan for 35 to 40 minutes. If you’d like to halve this recipe, something I do often, then use an 8X8inch pan. My carrot cake came out lovely! Thanks for the wonderful recipe. Can I add some raisins and pecans into the recipe? Will it still turn out as good? That’s great news Grace! So happy it was a success! I almost never succeed in baking, but some how this recipe worked for me. we loved it !! Thanks a dozen, you are very talented msA. Not only the recipes, I also love the branding and photography. Hahahaaaa so happy to hear that you finally found success 😄 I just made this recipe yesterday too, but in cupcake form! Thank you so much for taking the time to share your feedback and for your kind words. Hi, quick question I accidentally put a half teaspoon more salt in the batter, should I throw it out and make a new one or should I simply add a teaspoon more sugar to balance it out? Whoops! How about tasting the batter first and see if you can detect it? Sometimes cake batters are capable of handling extra salt without actually tasting salty, so let’s hope that this is one of them. I really don’t want you to throw away the batter and yet I don’t think an extra teaspoon of salt is enough to offset the saltiness. You could definitely give it a try though. thankfully I couldn’t detect it and it baked wonderfully. I have this cake in the fridge right now, because we don’t have our a/c on, and it’s a little hot. The cake and frosting turned out beautifully. It’s the best looking cake I’ve ever made. Now to find out how it tastes 🙂 After supper. I used this recipe last summer when I was pregnant and CRAVING cake. Tonight I’m making it for a friend’s birthday. Thanks for the great recipe! I just wanted to thank you for this amazing recipe. I made it for my best friend’s birthday today and it was a huge success. People thought it was store bought. It is simple and beautiful and just divine. And the cream cheese frosting is the best I ever made. And I tried a few. 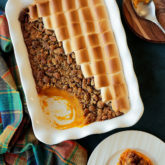 I added a cup of chopped walnuts to it and it was just bursting with flavors. I wanted to ask you. If I wanted to make this recipe into cupcakes, what’s the ration for the batter and icing? Thank you! Hi Nour😊 This recipe makes 24 cupcakes and the frosting is more than enough to generously frost each one. I’d say a ratio of about 2:1 cake to frosting. 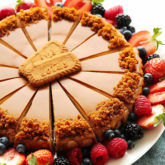 I remember growing up with carrot cake as a normal part of a winter afternoon…….now I live in Egypt and the reaction I got from my mother in law when I offered her a piece of carrot cake was very similar to those of your aunts……thanks God I did not frosted the cake with CHESSE! The look in her face was enough for me to keep my humble frostless carrot cake to myself. Anyway, I will give your recipe a try, looks delicious. Congratulations on your beautiful website. I actually “arrived on it” when I was looking for a recipe for Om Ali. I love the way you introduce the recipe, always with a pinch of humor. The pictures are great! It’s funny we saw on the ice cream scoop! That’s so funny😄 Next time…just go ahead with the cream cheese frosting…no one needs to know that there’s cheese inside😉 I can assure you that Egyptians love cream cheese frosting more than any other type of frosting, because it’s not as sweet & that tang. Thank you so much for all your sweet things compliments. They really mean so much to me. I’m so happy you’re enjoying it around here & I hope you give this recipe a try & love it as much as we do! I have made this cake so many times it’s a big hit with my family and friends. I tried making the batter in cupcake pans but they didn’t really rise. Any advice? Hi Tiffany! I’m so happy that you’re loving this cake so much. I’m surprised though that the cupcake version didn’t rise, because it shouldn’t make a difference between cake & cupcake. Are you sure you didn’t forget to add both the baking powder & baking soda? Are they still good; not expired? Maybe the baking powder is expired, I just got a new one. I’ll try the recipe and see. Yum, Yum, Yum!! OMG, I just made this recipe as cupcakes and they are amazing!!! So delicious, no need to ever find another carrot cake recipe. Your directions are perfect and easy to follow too. Thank you so much for sharing. It’s pinned to my recipe board and I will definitely be making it again. Bravissima! Grazie mille! I’ve just updated the recipe with both ounce and gram measurements. I hope this helps! The recipe as is will work perfectly well to make a 2 layer 10″ cake. If you would like to make 3 layers instead of 2, then I’d suggest making 1 1/2X the recipe. Hi Tasbih, Thank you so much for the reply. I can’t tell you how excited I am to give this a go. Just to make sure, as my maths is AWFUL!!! I should use 887.5g all purpose flour, approximately 3tsp baking powder, 10 eggs… I won’t go through the whole lot, just want to make sure I am on the right lines because I really want to try the 3 layer cake! Also to check, all-purpose flour is Plain flour? I am guessing i’m right on that considering you are adding bicarbonate of soda (baking soda) and baking powder. Hey Karen! Glad I was able to help. Ok so you multiply everything by 1.5. Seems like you’ve multiplied everything by 2.5 which will make way more batter than you need. That means you’ll use 533g of flour, 6 eggs, scant 2tsp baking powder, 1.5tsp baking soda, etc. OMG, you are my cake baking fairy godmother! Thank you so very much. Just one more thing! How long to bake for, do you think checking at the 50-60 minute mark? My oven thermometer should arrive today so I can check that what my oven dial says is actually what the oven temperature is! Cake baking fairy godmother lol 🤣 I LOVE that! Would’ve been a cool name for the blog. Just wondering if this cake is dense enough for a fondant wedding cake? Hi Nikki! While I wouldn’t classify it as a dense cake, I’d say it’s sturdy enough to handle the weight of fondant & possible tiering. It’s not as dense as a pound cake, yet not as fluffy as a cake mix…something in between. I covered it with fondant in the past, so I’m pretty confident that it work perfectly well for a fondant cake. Ik made this cake for my birthday in april, and a friends loved it so much that I’m making this forum her weddibg cake now in 3 tiers (8 inch, 11 inch and 14 inch). I’m going to test thé baking time for the largest layer this week.. so excited! Yes please! Would LOVE that! For the bigger layers I just reduced the baking temperature and extended the baking time. That’s so amazing to hear! I’m going to try and find you on Instagram. So excited to see it! I hope it turns out every bit as delicious as you’d hope for when you do! Hi Tasbih, I made this as cupcakes and they turned out perfect! You were right about the cream cheese frosting, finger licking good😋 I also had the issue of slight eggy oily smell when I had baked them (I had used vegetable oil) but it went away the next day and was perfect with the icing. Oh, And I had some frosting leftover, are there seperate measurements if we are making this as cupcakes? Carrot cakes almost always taste better the next day when all the flavors have had a chance to meld & develop. Try to make it a day ahead to avoid any risks of having an eggy taste or you could increase the spices & vanilla. They do a great job at covering any egginess. As for the frosting amount…it’s usually barely enough for us, but we’re frosting hoarders lol! Please feel free to make only 3/4 or 1/2 of the recipe, as you see fit. I finally found the perfect carrot cake for this Easter. I’ve been searching everywhere on the internet and stopped here when finding your cake and truly believe this is the one I am after. 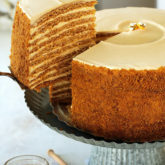 Most have so many additions to the carrot cake..I just want a plain carrot cake, one that tastes like a carrot cake and not pineapple or raisins. No offense..it’s just that I want the familiar cake of when I was a little girl. Your frosting in one I know I’ll want to put my entire face in the bowl and lick away till I am sick. HA HA HA! Looking forward to making this to WOW my family. I’ll let you know how it turns out…I now they’ll love it. 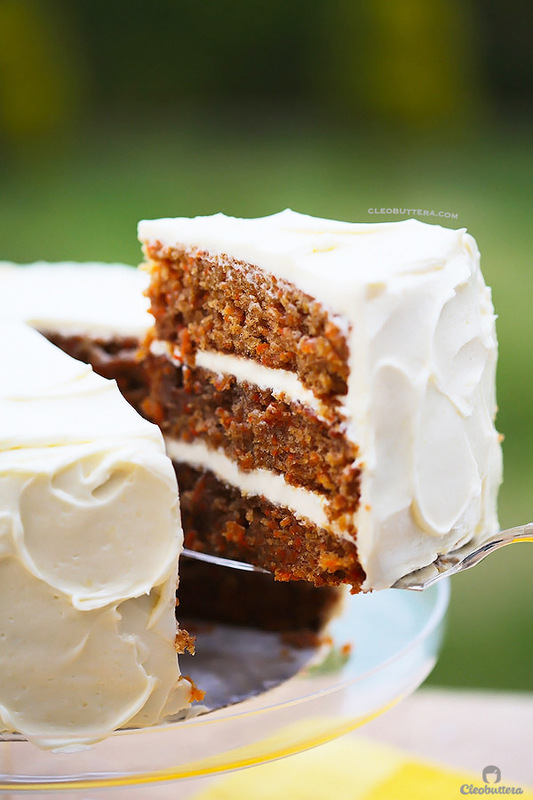 I’m just like you…a plain carrot cake person with no bells or whisks all the way! I believe that simple is best here and I’m glad you agree! I hope you love how it turns out as much as we do. I’m also currently working on finishing up a video recipe for this cake to add to the post before Easter. I’m hoping for it to be up by tomorrow! YAY! I can’t wait to view the video. I will be making cake Saturday, the 31st, for Easter. Video will be helpful….. especially for the frosting. Thank you so much! YAY! I found it and watched it several times now..great information. Thank you, for it helps to see how you add ingredients, especially the cut up cream cheese when adding it to frosting cut in cubes. I cannot wait to make and serve this Easter, it is going to be an amazing cake for my family to enjoy. Happy Easter to you and family! Made this cake for Easter and it was a success! Mine came out quite dense, but we love a dense cake so it was perfection for us. 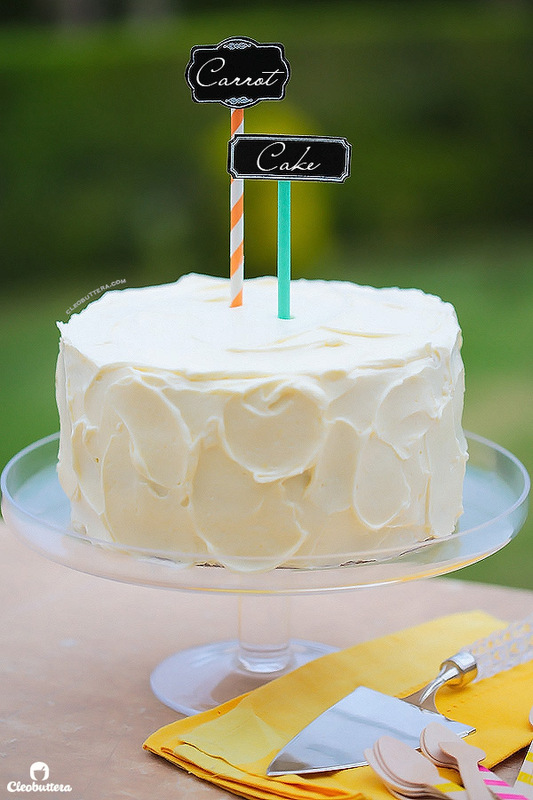 I love all the spice flavors in this cake..and the frosting, fabulous! thank you for recipe..it’ll be one that I make often. Hi 🙂 a question does this frosting crust after it sets? Not one bit. It’s super duper creamy & luscious & not cloyingly sweet like most frostings. I hate frosting that crusts, so rest assure that you’ll never see it on my blog. How should I adjust bake time for cupcakes? Thank you! Excited to try this recipe for Easter! Made this carrot cake for Easter. 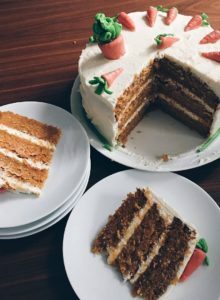 Hey Tasbih!… Guess what…I tried your Incredible Carrot Cake recipe and it is indeed Incredible!..I have tried so many different recipes of this cake and it never tasted sooo goood and this recipe is truly a game changer, I must say! Its 2 am in the morning in my country whilst others are sleeping , I am frosting this cake with mascorpone cheese whipped with cream cheese and confectioner sugar adding a pinch of cinnamon. It complements very well with the cake. Yay Kristen! I’m so happy you finally found your go-to carrot cake! I hope you had a wonderful Easter. It’s so reassuring to hear that canola oil worked really well…thanks for sharing. I’m sure a lot of people will find this very helpful. You’re right. It was the best carrot cake I have ever had. I made only 2 layers and I shaved the carrots. I’m saving this recipe! I’m planning to try this recipe out this weekend and I’d like to try baking the cake in a 13×9 inch pan. How long would I bake it for? 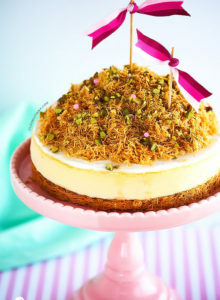 Okay, so after that amazing Mozzarella Kunafa from your blog, I am going to try this carrot cake. I too love a no frills carrot cake and my sister is requesting for one. I only want to make 1 layer though (1 know, 1 know, I mean I could eat all three layers by myself, but what to do!) … so can I just divide all the measurements by 3? Would that work or would it make it too restrictive? Thank you so much! I love your blog and I cannot wait to try out more. Hello dear! I’m really happy that you’re enjoying the recipes over here! You could make 1/2 the recipe in 1 (9inch) round or square pan. I half the recipe all the time with great results so no worries love. Thank you! I will def do that and report back my findings. I follow it exactly correct? And the frosting for the cupcakes u suggest i put it on top of each one ? Have u tried using a cup of carrot juice in the cane? Do u advise this ? I’ve heard about this trick, but haven’t actually tried it. I don’t recommend it for this recipe because the batter has just the right amount of moisture in it. 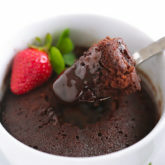 If you add juice to it, it will throw out the proportions of the recipe & the cake will turn out soggy & dense. I uses a recipe and a half for my 10 inch pans. It was amazing. I alwYs make cream cheese icing but your suggestion to use cold cream cheese and add sour cream was amazing..
a big fan of your recipes and writing.Possible to use just one type of sugar.We have moved countries and havent seen a variety of sugars here. Oh no Reem! I can’t believe I let you down by not replying to your comment early enough, when you needed me the most. So sorry dear, I was actually really sick the day you wrote the comment and got hospitalized. I hope you understand that it wasn’t in my hands to reply before today. Thankfully I’m out of the hospital and I’m currently in recovery. First let me begin by thanking you for your unbelievably sweet message. I found it so loving and adorable and not one bit creepy 😂 I’m really happy that you’re enjoying the recipes from my blog. I’m also so proud of you for mastering challenging recipes at this age. You go girl! Keep it up! OHMIGOD!!! I just saw your reply and I squeeled in delight. It means so much to me that you took out the time to actually reply to my question,most bloggers don’t do that but then again this was my first ever comment/question on any website. Thankyou so much for the birthday wish.. It really means a lot coming from someone I look upto so much❤️❤️. The cake turned out amazing! My parents loved it and even my sister(the HARSHEST food critic) said “it’s soo good Reem” and I have you to thank for that.. So.. Thankyou. I completely understand the hospital thing and I hope it’s nothing serious and that you get well soon! 🤗If I could, I would totally send you a care package with my grandma’s famous parathas and a good cup of strong Chai and cake rusk cuz that always makes me feel better..or maybe it’s just my grandma’s presence there. Huh. I suppose it’s the love that helps more than food(but JUST in this case) 😅. I’m sending you a virtual feel better hug and I’m so thankful for your food blog. It really helped me make my dad’s birthday more special(since I’m broke and can’t afford gifts I suppose cake will have to do😂😂☺️) My mum right near fainted when she saw the pile of dishes in the kitchen sink😁😅😅🙈. I would probably ALSO take this opportunity to write more fan mail but Alas! I have school tomorrow and they’re going to announce my results🙈😬(WHY?!!) So I’m gonna try to sleep now and I’m probably gonna come home tomorrow and make your molten lava cake to feel better.. You’re amazing. I sincerely hope you feel better! ❤️❤️🤗. Reem I think you’re just about the sweetest thing ever! And yaaaaaaas a care package of parathas, chai and cake rusks is just what the doctor ordered 😂 Thank you so much for your kind gesture. Like another commenter I had also decided, after much reading, on a carrot cake recipe until I found your post. Now I’m trying yours for a friend’s birthday cake for tomorrow. I have a QUESTION ABOUT THE FROSTING. I compared your quantities to the Cook’s Illustrated version and notice yours has an extra cup of confectioners sugar, which sounds like an awful lot to me and I wanted to make sure it wasn’t a typo….especially because you said (regarding cream cheese frostings) “This is most often remedied by adding colossal amounts of confectioners’ sugar to stiffen it up. The result: cloyingly sweet, gritty frosting. Blech! Not this one though.” However, that seems to be what you did–by adding 1/3 more sugar to the recipe?? I just want to make sure you really meant 3 cups so I don’t get “Blech” or something overly sweet 🙂 Can’t wait to try. I’m going to poach another person’s idea from above by soaking some raisins in bourbon — wasn’t going to add them at all until I saw that! 🙂 Love your beautiful site, thank you. Hi again Tasbih – This is an update. I went ahead and made the frosting following your instructions and it is PERFECT, not too sweet at all, and the cake is gorgeous. The only trouble I had is that I used cake pan strips (for the first time) and the edge of one of the layers came out still raw! I read some other forums and it sounds like this happens sometimes when a long strip is doubled over for a significant portion of the pan. I had already taken the cake out of the pan and transferred it to a rack. I was lazy so just stuck the rack straight back in the oven with the cake sitting on it for 10 more minutes. It all seems ok…looks great anyway. The taste test will happen tomorrow! Hi Frances! I have no idea how I missed your comment and just saw it now. So sorry about that! For some reason I did not receive a notification that I had received a comment from you. Hate it when that happens! I’m happy you went ahead and used the 3 cups of powdered sugar. I really don’t like cloyingly sweet frostings, but I really felt that Cook’s Illustrated’s original version was really lacking on the sweetness. Ofcourse sweetness is a relative thing, but I felt that increasing it just a bit helped improve the overall taste. I’m really glad you liked it this way, but feel free to reduce it if you ever need to. I’ve made carrot cakes before (it’s a personal favourite) but this version also converted my friends. And it was also very special for me because I made it to announce my pregnancy. It might be the cake I’ll make for he’s first birthday too. WOW Tiffany! Your cake looks absolutely gorgeous; it’s a work of art! Thank you so much for sharing your beautiful photo with all of us. Congrats on the baby…YAY! Wishing you an easy delivery and a sweet, healthy baby. God bless. I made this three times already and it’s seriously BEYOND incredible. I’m actually getting compliments for being a good baker. Absolute wonderful cake!!! I made it exactly as written, no substitutions. I did let my cream cheese come to room temperature first. I made the icing as stated up until the cream cheese. At that point I took the frosting out of the bowl, beat the cream cheese alone until creamy then slowly mixed the rest of the icing back in. Family loved it and so did I! Love hearing that so much Jessica! I’m glad the room temp cream cheese worked just as well. Thank you so much for your wonderful feedback.